—————————————————————————– New! 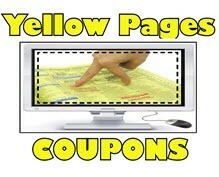 Groupon added to our Daily Deal Site.. Click here to Join! New York City Area Deal: POP Burger – $6 for $12 of food & drinks at the counter or $12 for $25 of food & drinks in the lounge – Take a bite out of the good life by hitting up the cafeteria-style counter or saloon-like lounge at both POP Burger locations, where you’ll enjoy spiffed up fast food, creative cocktails and classic burgers for half off. Phoenix Area Deal: USA’s Skateland and The Great Skate – $10 for admissions, rentals and snacks in the Valley ($26 value) A date on wheels: $10 for two admissions, two skate rentals, two slices of pizza, and two sodas at USA’s Skateland or Great Skate ($26 value). Houston Area Deal: SolarBright USA – $12 for an at-home dental whitening system ($60 value) Pearly whites lost their luster? Get them gleaming again: $12 for a SolarBright USA at-home dental whitening system with a six-month maintenance program ($60 value). Boston Area Deal: Daryl Christopher Wellness Salon and Day Spa – $75-200 for spa and salon packages in Waltham – $75 for $150 value, $100 for $250 value, $125 for $310 value, $200 for $400 value San Diego Area Deal: Mangia Italiano on Third – $9 for $20 worth of pasta, vino and more in Chula Vista Become a part of the family: $9 gets you $20 worth of authentic pizza, pasta and more at Mangia Italiano on Third.